MCDOWELL COUNTY, NC -- At least five people are dead since Alberto arrived in western North Carolina. North Carolina Gov. Roy Cooper toured the hard-hit areas Thursday. The right lane of I-40 West is closed Thursday near Exit 66 (Dunsmore Avenue) because of a mudslide. The lane is expected to reopen by 6 p.m. Friday. Two people died in a collapsed home in the Heavenly Mountain community near Boone, according to Boone Police Sgt. Shane Robbins. Two persons were reported to be in the structure at the time. Robbins said search and rescue operations were initiated when Boone Fire arrived and two victims were found dead in the rubble. 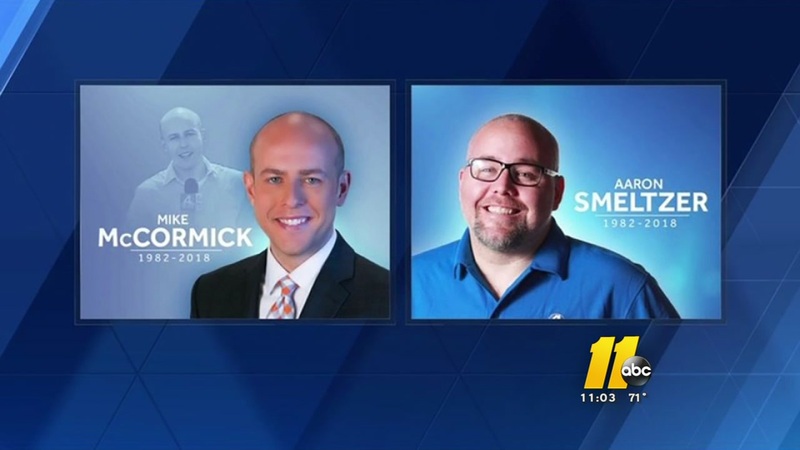 WYFF-TV anchor Mike McCormick and photojournalist Aaron Smeltzer were killed Monday when a tree fell across the highway and crushed a vehicle they were in. Heavy rains caused several weather-related issues for McDowell County including flooding and emergency evacuations. A North Carolina state trooper says a tree fell across a highway, crushing a vehicle from a South Carolina television station and killing a TV anchor and photojournalist. On Wednesday, evacuation orders for residents living below Lake Tahoma were canceled after an engineer deemed it safe. Cooper declared a state of emergency in western counties after heavy rains strained dams and caused mudslides that blocked roads. Forecasters said isolated heavy rainstorms are possible the rest of the week and could instantly cause flooding in areas of the mountains that have had 20 inches of rain in the past 15 days. Across the county, hundreds of people are dealing with flood damage. Several roadways were impacted by flooding and part of a bridge on Orchard Street was washed away. Emergency Management asked the McDowell County public to remain alert for additional updates, as additional rainfall was expected Wednesday afternoon. A Flash Flood Watch was issued through 8 a.m. Thursday for all of Western North Carolina. McDowell County Schools were closed Wednesday following the flooding, and had a delayed opening Thursday. On Wednesday, crews were cleaning up the mess left by a mudslide on Interstate 40.